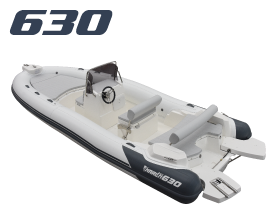 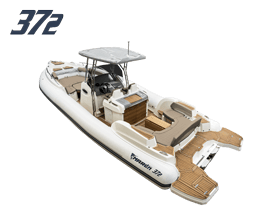 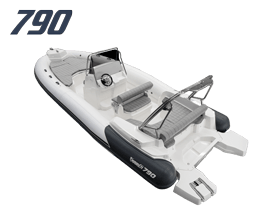 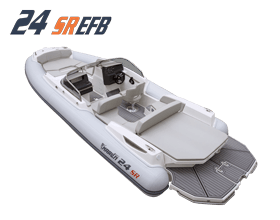 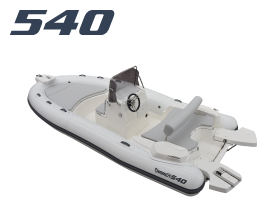 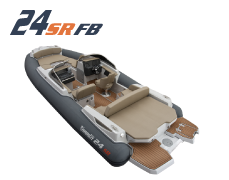 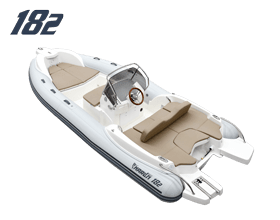 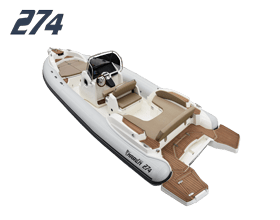 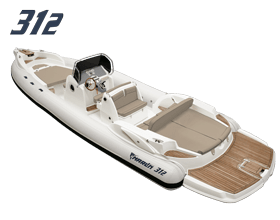 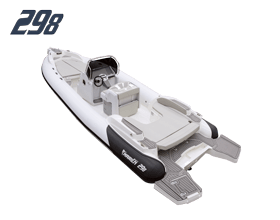 "It’s a RIB with sporty lines, who’s shapes are well connected and consistent to an excellent functionality both during the navigation and at anchor. 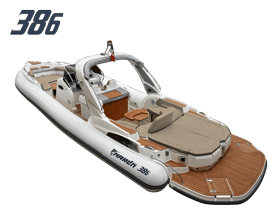 A very livable model that wisely takes advantage of the architecture of the bow rider, as unusual for a RIB, as functional: a central corridor that join the stern convivial area to the bow one with no obstacles or impediments of any kind. 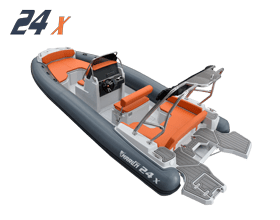 High attention is paid to detail and a high quality construction both in the printing and in the pairings of the various parts." 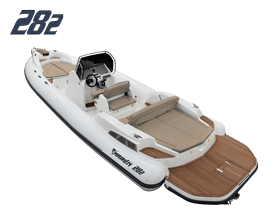 We reserve the right to change and improve our ribs without notice. 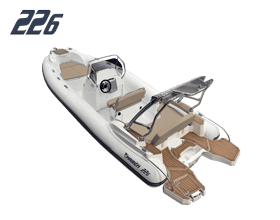 Photographs may show accessorises not included in standard equipment.